Four months after a flood threatened to put the Jack London Square bar and restaurant underwater for good, Pearl's is new, improved, and worth a visit. 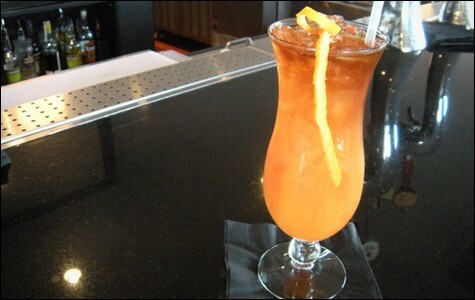 The hurricane was gloriously strong and not too sweet. Open Sunday-Thursday until 10 p.m., Friday and Saturday until 11 p.m. It's a pretty safe guess that October 22 was one of the worst days Mark Everton has had in awhile. In the early hours of that morning, a produce delivery truck knocked into and broke a fire hydrant outside Miss Pearl's Jam House, the restaurant and bar at which he's the general manager. Water spewed out from the open pipe, forty feet up and onto the restaurant's second-floor balcony, where it blew through the sliding-glass doors and seeped into the dining room. By the time Everton arrived at the scene, there was about eight inches of water filling the massive, multi-room space; by the end of the day, the ceiling, walls, lighting, and air-conditioning system were totally ruined. It could've been the worst thing to happen to a restaurant, except it wasn't: As Everton explained last week, nearly five months after the flood and one month after Miss Pearl's reopened, "it's not often in this business that you get the chance to press the reset button." He's got a point, and it's clear that Miss Pearl's, the home restaurant and bar of Jack London Square's Waterfront Hotel, took the opportunity seriously. That meant completely rejiggering the menu, design, look, and feel of the place, taking the theme several hundred miles north from Caribbean to American Southern. This, guys, was a very, very good decision: A slightly cheeseball, highly seashell-oriented, and thoroughly overwhelming decorating scheme has now been substituted with large-format photographs of jazz greats and artfully piled Mardi Gras beads; "jerk" menu modifiers now replaced with "fried and smothered"; the "Jam House" suffix in the restaurant's name (which was short for "Jamaican") dropped in favor of the sleeker-sounding "restaurant and lounge"; expensive-looking light fixtures subbed in for slightly-less-expensive-looking light fixtures; and so on. After a renovation that cost, all together, upwards of a million dollars, the bar re-opened on, of course, Fat Tuesday, and Everton estimates that he saw four hundred customers that night. 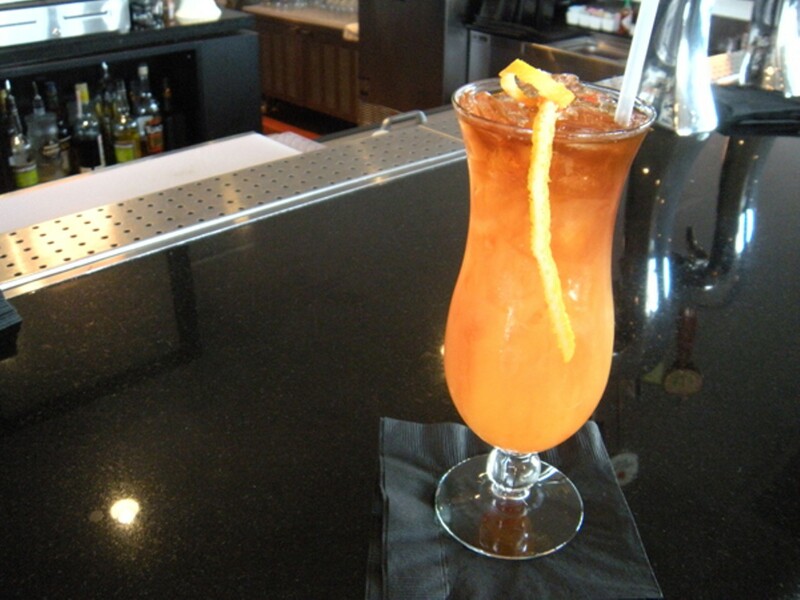 In terms of the cocktail program, this revitalization, or reorientation, or whatever you want to call it, has mostly meant that Miss Pearl's' large menu of rum-and-fruit-based drinks — daiquiris, mai tais, and the like — have been removed, a respectable collection of bourbon and New Orleans-style cocktails put down in their place. On the left side of the menu, a slate of "inspired cocktails" include local-seasonal inventions like the Dixieland ("Hangar One Buddha's Hand Vodka, Combier aged Earl Grey, Bitterman hopped grapefruit bitters," $9) and the adorably-named Scrapple from the Apple ("Four Roses small batch Bourbon, Averna amaro, spiced apple shrub, toasted pecan syrup," also $9); on the right, the "inherited" drinks include mostly-faithful renditions of juleps, Sazeracs, gin fizzes, and the like. Also, and worth major points: They have Abita on tap; a decent menu of tasting flights; surpassing happy-hour deals; lovely, helpful bartenders (shout-out to Gerry); and, for $7, a bar snack that's basically just bacon smothered in salted chocolate sauce, and that might very well make you see God. I ordered a Hurricane. Having just been to New Orleans a couple months ago, I can say from sad experience that this is a drink that can, quite easily and all too often, be corrupted by the food coloring- and corn syrup-happy bartenders of Bourbon Street, but not here: Miss Pearl's' hurricane ($8), made from house-infused rum, passion-fruit juice, grenadine, and not much else, served appreciably huge and naturally coral-colored, with a thick orange shaving on top, was a revelation — fruity, for sure, but in a decidedly not-too-sweet, not-from-concentrate way, and gloriously strong in that accidentally-drunk-at-5-p.m. kind of way. The mint julep (Rip Van Winkle ten-year bourbon, sugar, and mint, $8) was similarly ingredient-minimal, well-made, and strong, a largely-un-messed-with-but-ever-so-slightly-better take on the classic. Actually, much the same could be said about Miss Pearl's in general. Expensive makeover aside, the place is, by and large, what it was before the flood, just slightly better: It's still upscale, older-skewing, and undeniably hotel-y, with its pastel palette, upholstered chairs, and big windows. But also: with the hurricanes, and the happy hour, and the helpful bartenders, and an unaccountably adorable outdoor seating area, and the aforementioned big bay views, one of the East Bay's best-kept secrets for delicious drinks in a quiet, lovely setting. Sometimes a setback can be more like a silver lining.